MOJAVE, Calif. -- Virgin Galactic says it has received an operating license for its space tourism rocket from the Federal Aviation Administration. Virgin Galactic says the operating license awarded by the FAA's Office of Commercial Space Transportation will ultimately permit commercial operations. The company said Monday the licensing process involved a review of the system's design, safety analysis and flight trajectory analysis. Virgin Galatic's first spaceship broke apart in 2014 during its fourth rocket-powered test flight when the co-pilot prematurely unlocked a key system. 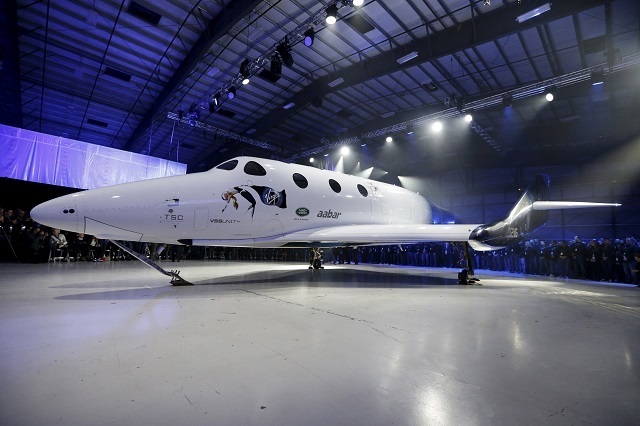 The second version of the company's SpaceShipTwo was unveiled in February. The first taxi test of the new spacecraft took place Monday morning at the Mojave, California, airport. The taxi test evaluated and calibrated navigation and communications telemetry systems as it was pulled by a sports utility vehicle.